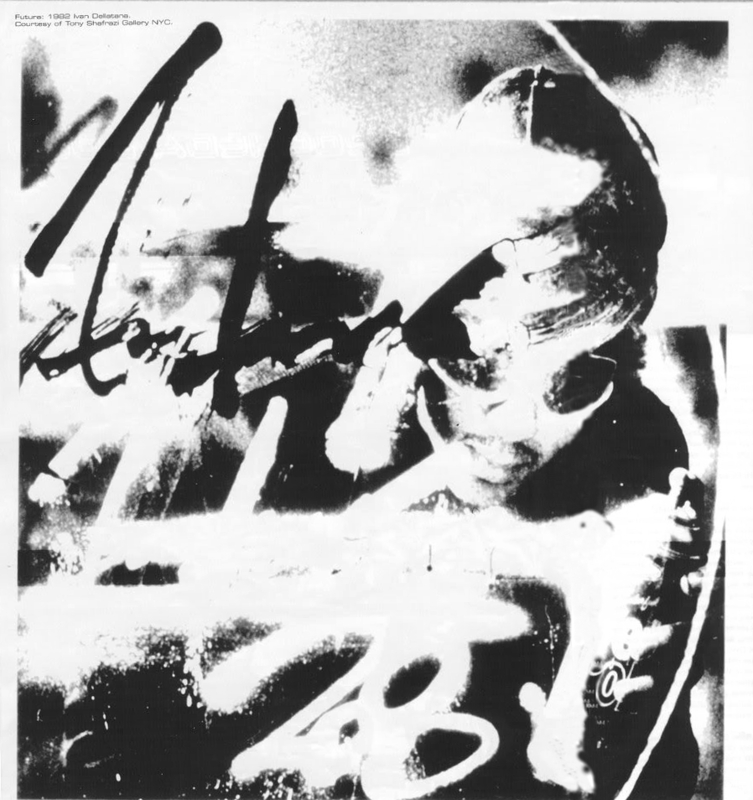 The classic UK graffiti magazine Graphotism met up with James Lavelle in 2000 to talk about Futura and the release of his cult book by Mo’ Wax. “Futura doesn’t tend to look back very often, he’s constantly looking forward and letting go of the past,” says Mo’ Wax’s James Lavelle on the eve of Futura’s publishing debut. Called simply “Futura”, Lavelle discusses its creation and his record label’s relationship with a Path-Finder General. Chandler Bing : “Could there be a more appropriate year for Futura 2000 to author a book?” No Chandler, there couldn’t, I mean, talk about synchronized publishing, man and don’t figure this devilish timing for a fiendish bit of marketing, because Futura has been in gestation so long now, it was sprouting urban myth wings. However,October sees reality bite back when on to bookstore shelving Futura’s 176 pages foxtrot. The wait is over. Futura 2000 is a Cooley High Honours student; his writing has nudged graffiti along the path we stroll today. When we talk innovations, it’s not a naff mailorder catalogue but a 1980 New York whole car that eschewed letters for abstraction; a classy, understated tag screaming style. First graders and dillettantes may better know his work for fashion labels stretching back ten years : Agnes B, Project Dragon, GFS and Japan’s most worshipped, Bathing Ape, have had Futura makeovers. Then there are those record covers. When Mo‘ Wax launched, it took off like Scott Tracy’s Thunderbird 1. Its mix of chilly most beats and a bracing A&R policy appealed to kids and critics, its internationally lauded and applauded releases smoothed the label to title of “The New Blue Note”. Like the classic jazz imprint, part of Mo’ Wax urbane, hepcat appeal was cover art. 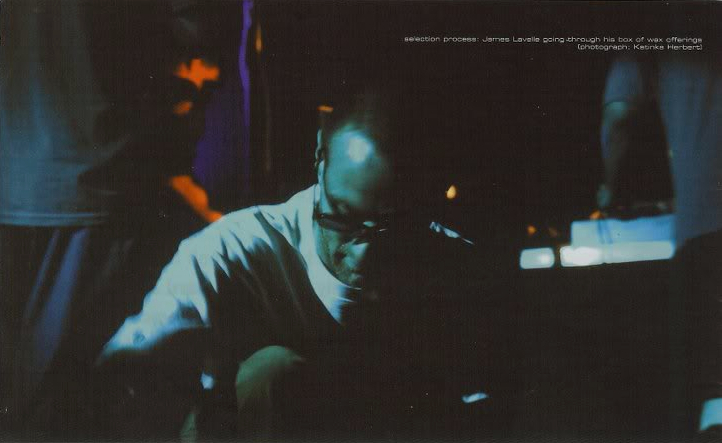 and Futura’s sleeve designs for DJ Krush and UNKLE were all part of James Lavelle’s plans when starting Mo’ Wax, and team leading project UNKLE. Now he‘s backed the book that will never win the Booker Prize, but will be prized by those who rock blackboots. When did you and Mr. 2000 get the connect? How did the two of you bond? We’re quite similar in certain respects; we share a lot of reference points in film, music, the arts… I think we both strive for individuality; we’ve always tried to be slightly different. Futura’s always remained slightly unique within the graffiti scene, and as much as they’ve done graffiti, I think him, 3D and a couple of other artists have always has a more unusual take on the traditional style of graffiti. Y’know, I really liked Dondi, Lee, Zephyr, Stash and Goldie. Without meaning to sound pretentious, I think we’ve both has a more intellectual view over what was going on rather than just a street view of it. I think we’ve both been on our own in the context of our work; we have a lone orientation. Perhaps my passion and support for what he was doing enthused him : like I introduced him to Bathing Ape – who support him – and I’ve always tried to push him with his work in an artistic way, there’s always been a respect for that. Maybe my age and what I was doing was appealing as well. Was there a British thing going on too? Like he’s always has a relationship with England from The Clash days. He likes to travel, he likes going to different places and experiencing different things, so that was appealing to him. 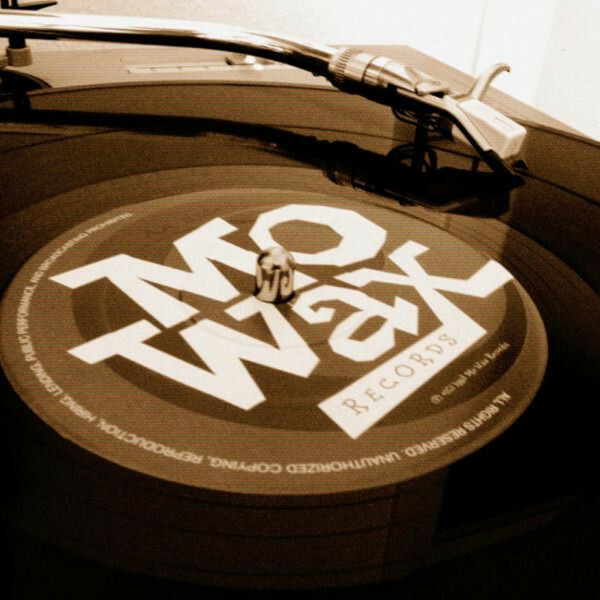 When did you sit down and decide he should design Mo’ Wax’s record sleeves? I asked him if he had any paintings I could buy to use as sleeves. I went to his studio and, from then on, it was pretty quick. I bought paintings used for the original DJ Krush covers. The first sleeve I bought was used on DJ Shadow’s and Krush’s split record, Lost & Found / Kemuri, and then the UNKLE sleeve for Time Has Come. They were both triplet sets of paintings and I was obsessed by his characters. I think I was one of the first people to try to incorporate his characters into an image and give them an identity, and that was something he was into. It doesn’t happen so much anymore because everyone’s worked out that you can do it, but if you just go and look around and ask, then these collaborations happen. I remember when we first hooked up, people’s reaction was, “How did you find him?” and “My God! Why would he do it?” My reaction is why not. I don’t look at it as some kind of genius thing that Mo’ Wax hooked up with Futura: I had a label that wanted to incorporate cultural elements that I’d grown up with, and they happened to be being into graffiti, being into hip hop, techno, Beastie Boys, Star Wars… If you’re between twenty-five and thirty, then these are the things you grew up with; it’s not a big deal, y’know, it just seemed the obvious thing to do. If the first sleeves were existing paintings, when did he start designing specific sleeves? To be honest with you, I don”t get him to design specific things. I go and look at his work and then choose things because I prefer to have that choice. I’m very picky about what I want, so I fond that if you commission people it’s sometimes not as good as when you have an opportunity to look through a selection of work. So most of Mo’ Wax covers have been paintings he’s just done or what he’s doing the time. I’d have a specific thing in mind for what I’d want on the cover, and you’d either see it or you wouldn’t. How did the concept for UNKLE’s album come through then? Because that was a thought out look and campaign, y’know, having the ads as pull out stencils and whatnot. It didn’t come across as organic. We wanted to utilise characters and that was always going to be the identity of the band. So when he came over we just did loads and loads of stuff with characters. With the UNKLE thing, I wish it had been… more. In retrospect, the sleeve isn’t how I really want it to be bit it was such an intense period of time, and there are a lot of times I look back and want to change things. But we kind of had a bit of a pact where the characters were going to be kept much more for Mo’ Wax and the identity for UNKLE, and he’s kind of always respected that. The good thing with Futura is he understands that relationship that is key to an artist. That is, if you have a definitive style – which he does – and its spread thinly over different peoples work, then it will lose its appeal. And he’s kept to that. The only people he’s been working with is me and Japan, really. It’s been good because as soon as I did this stuff with him, everyone came out of the woodwork and wanted to do loads of things but he’s been very honourable on that level, which I’m really happy about because it’s allowed us to retain an identity. Like right now, we’re designing toys using his characters, and then obviously we have this book that we’ve done that has been a long, drawn out process. Yeah, I remember you talking about it in some interview years ago. Trying to pull in thirty years of work has been a big task. I think putting the book together was a bizarre scenario for Futura, because I don’t think he ever looked at himself in that context. Why, didn’t he see himself as worthy of a book? I don’t know if “worthy” is right, but maybe he wasn’t sure if people would be interested – when you do things, a lot of the time you don’t think about them in the way others do. Any artist has an ego with regards to what they’re doing – wanting to be seen in the right way and all that – but Futura has always kept himself at a distance from people to maintain a kind of mystique, and he didn’t want to give it all way by doing a book. So one of the things I wanted to make sure was done when me, Ben and Andy – Ben and Andy basically put the book together and made it happen – were talking about it was that it wasn’t just a catalogue of work, but it would be something that showed his life because it’s incredibly interesting and unbelievable. So the book is like a visual biography? Yes, in many ways, but there is text which is written from Futura’s point of view. That was what was appealing about doing a book with him – there’s this whole story and history. We wanted to put out something together which was an historical document, something that was talking about somebody’s life throught the 70s, 80s, 90s and all those experiences. Y’know, painting with the people who were around in ’79; then disappearing because of the problems he had; being in the airforce; coming back at the start of the 80s and the rise of graffiti in gallery culture; the whole Haring, Basquiat, Warhol, 80s, Mudd Club art scene; The Clash; Celluloid; GFS. And then Mo’ Wax, Bathing Ape, UNKLE and all that stuff. We’ve given the book a kind of Mo’ Wax endorsement because I fell it’s appropriate culturally. There’s kid’s growing up now whose reference points to Futura come through Mo’ Wax and Bathing Ape rather than the 80s with The Clash and Basquiat. Also, here is a short video of Futura 2000 about the book, at the launch party in Manchester by Doodlebug.